Occasionally, I like to post travel pics, to prove to you that I don’t just sit in my apartment thinking about crafts all the time. I only do that 50% of the time. The other 50% of the time I’m thinking about puppies. 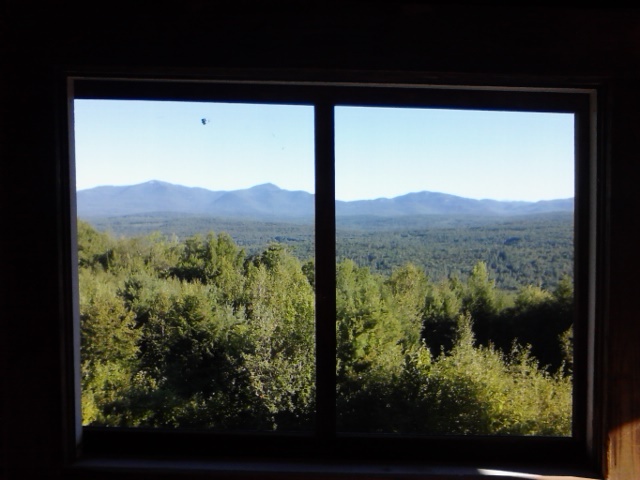 Earlier in August, I went to New Hampshire for family reunion. Two flights and a four hour drive. Yay. 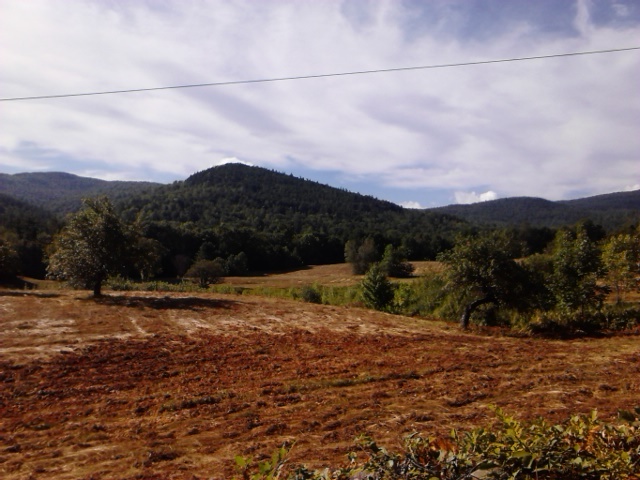 But I woke up to this view every morning, so I suppose it was worth it. My sister and I were sleeping in a screened-in, second floor porch. There were no window panes or curtains. So essentially…we were camping. But the view was worth it. Also, I like camping. She doesn’t. The state motto of New Hampshire is “Live Free or Die.” It’s never been changed since they became a state and they take it seriously. They guard their property very intensely, with dogs and guns and “No Trespassing” signs and barbed wire. It should probably be mentioned at this point that we were staying in a small town in the middle of nowhere. As we were driving up and down gravel roads, trying to find the house we were renting, we kept seeing these signs. 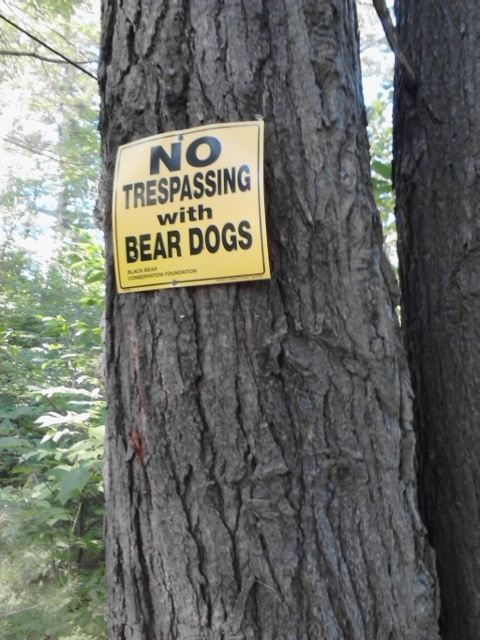 This prompted a lot of jokes about what “bear dogs” might look like and why you can’t trespass with them. Later my sister and I looked at the signs up close and in the small print it says “Black Bear Conservation Society.” I googled bear dogs when we got home. They are a real breed that hunts bears. I think they’re super cute, but they sound pretty mean to be honest. 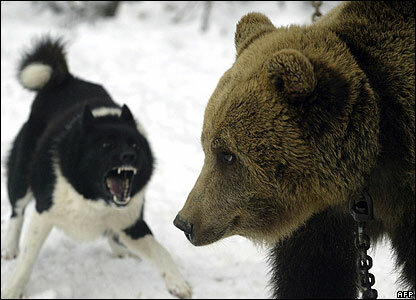 I got that image off google, we didn’t actually see any bear dogs while we were there. And it wasn’t winter, ha. We did see a black bear, though! Bear photo taken from the screened in porch around 6 am. 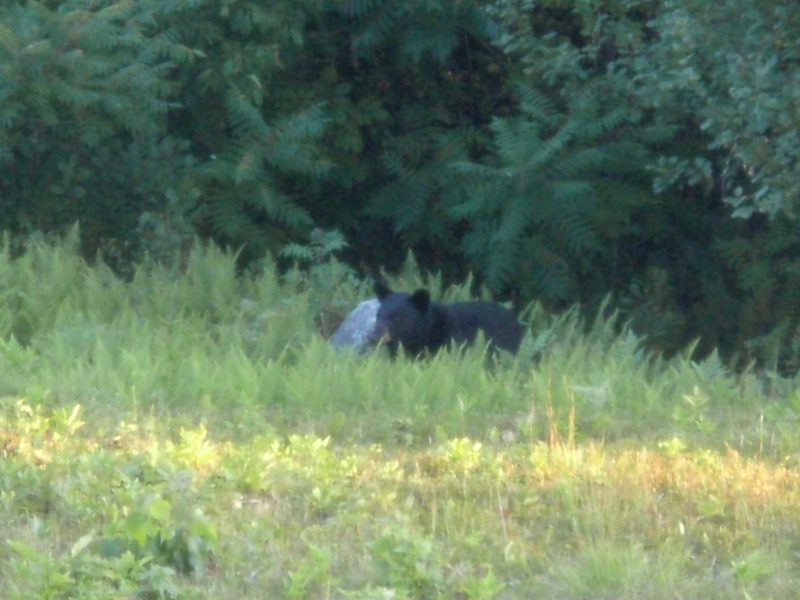 Black bear in the backyard, no big deal. And I’ll leave you with one last scenic shot.